This guide has been developed to provide alumni with an abundance of freely accessible academic and professional development resources. The goal is to enable easy access for alumni to academic journals, periodicals, repositories, and a host of other materials. Whenever you visit the Library you can easily obtain an alumni user account to gain access to all of the Library's subscription databases. You can also use your Alumni card to borrow from our wide range of circulating materials. Stop in to see us the next time you are on campus! Not finding the information or resources you need on this guide? Please email us at refdesk@wpunj.edu to let us know. Your librarians are here to help! The Cheng Library has a new look! Check out our 2018 summer transformation video and pay us a visit the next time you are on campus to see the changes firsthand! The Cheng Library welcomes WP Alumni Users to visit the Library and use the collections. 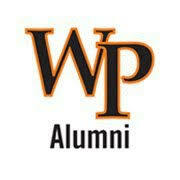 Alumni who present a valid WP Alumni Card (call 973-720-2175 or email alumni@wpunj.edu for more information) may borrow up to 30 items for 28 days (books). See Lending Services for more information. Computers are primarily for the use of currently enrolled students, WP faculty and staff. During busy times, WP users have priority over Alumni and Community Users. To use Library computers, Alumni Users can obtain a Guest Account login at the Reference Desk by providing valid identification. This account is of limited duration and for use only in the Library. It does not include email, wireless access, off-campus access, or any other specialized privileges. Users agree to abide by the University's Appropriate Use Policy. Alumni Users who wish to print will be required to pay for each page they print in Cheng Library. Guest account users must purchase a Pioneer Express campus guest card at the Lending Services Desk. There is an initial charge for the card and users may add value as needed. Printing charges will be debited against the card’s value.